Blair Pix – Jessica always says "Look and shoot"
Jessica always says "Look and shoot"
Getting up earlier than usual Jessica and me went to Centennial Park specifically for the purpose of photographing reflections. Reflections, swans,geese, Jessica and Andrew. This blog is full please go to the above. Asbestos recently discovered here. This area is rife with it. This morning Jessica visited our doctor for a referral and the Pathologist for a donation ( of blood). Jessica bruises very easily due to the blood thinners and we want to discover whether there is an extra reason for all the many bruises. We had breakfast at the Beach view Cafe and took a walk to the north Headland. I wanted to take some different types of photos, though most of them didn’t come right since I had the camera on the incorrect setting. I had cropped some of the worse ones though seem to have missed them in the loading. These have been sitting in my folder since 13 August so many may be duplicates. We had been to the Eastern Suburbs Cemetery and walked our way back around to the National Park – BBNP. Passing through the Bushtucker Track= BTKT; then out to the main road from where we walked back to Little Bay. 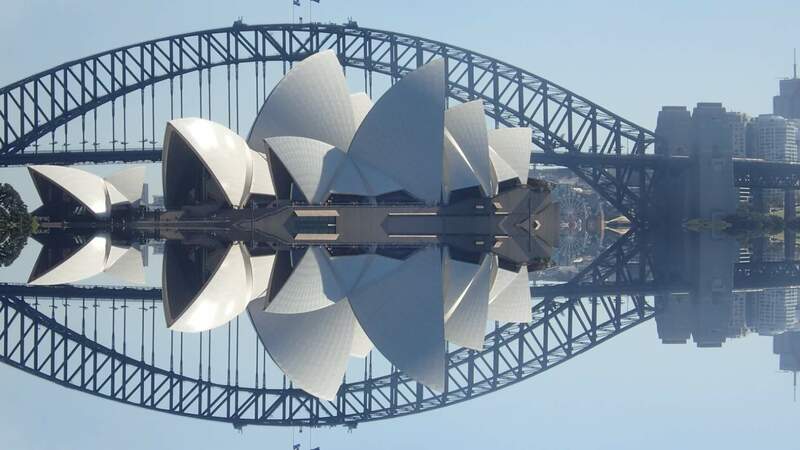 Sydney’s Harbour Bridge and opera house, taken on the Reflection setting. Br Francis-Clare on Parramatta Park Jessica. Suyash Yewale on Parramatta Park Jessica. Blair Pix Powered by WordPress.com.